This Blue Banded Bee, photographed in Darwin city, Northern Territory is an Australian native bee with beautiful turquoise bands across its abdomen. A Fly After the Rain, Bulgaria. I must admit I am absolutely fascinated by this photo. I’m mystified as to how Krasimir pulled it off. But to me there is some beauty in the shot even though its a fly after all. 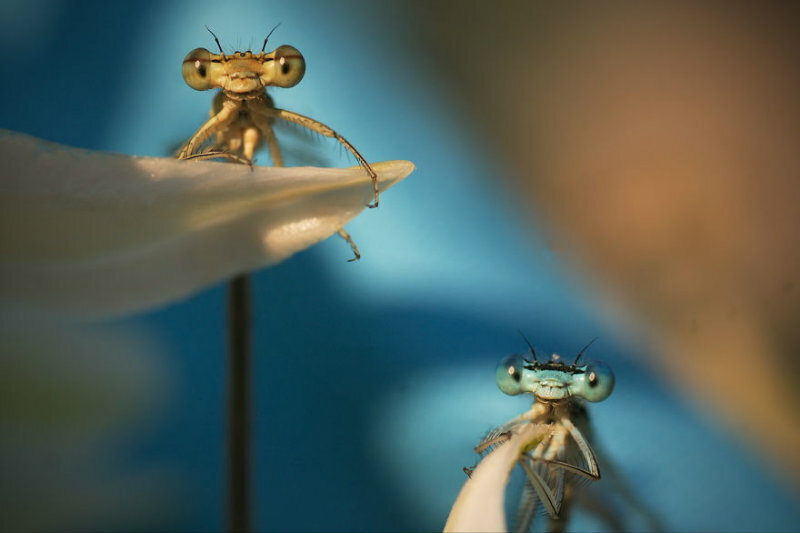 via Photo of the Day: Fly After Rain | Smithsonian. The Small & Mighty Rhinoceros Beetle. Compared to an elephant, the rhinoceros beetle looks minuscule. 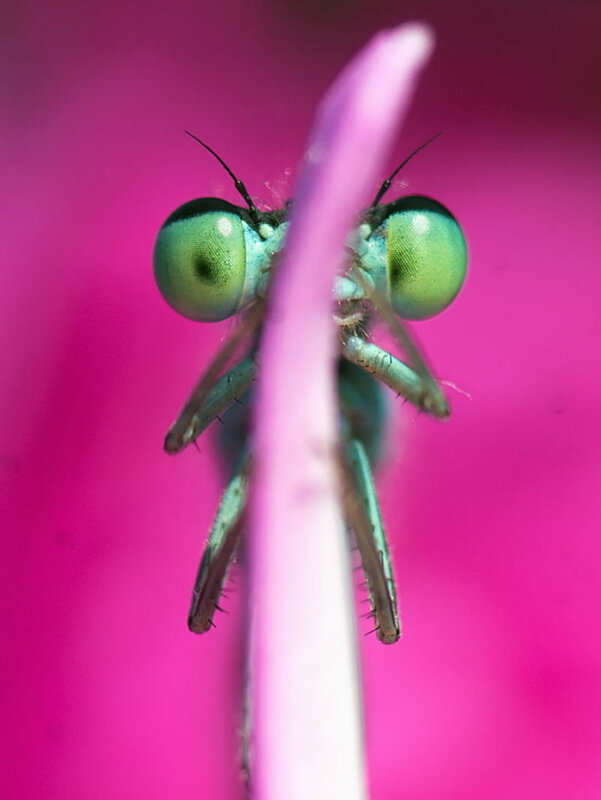 But ounce for ounce, this insect is considered the world’s strongest creature. Rhinoceros beetles, which get their name from the hornlike structure on a male’s head, are capable of carrying up to 850 times their own body weight. A human with this relative strength would be able to lift some 65 tons (59 metric tons). via Animal Record Breaker Pictures – National Geographic. No Free Loading Ants wanted Here. Researchers have long been fascinated with ant rafts. These floating mats form during rain storms and floods and are composed of thousands of individual insects. Scientists have found that the living rafts possess their own unique material properties, displaying buoyancy and behaving, alternately, like a solid and like a liquid. 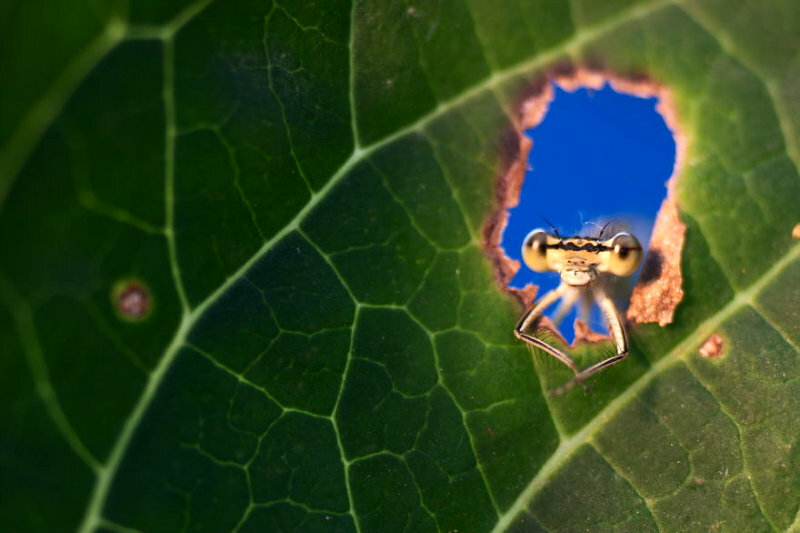 How the ants manage to create such engineering masterpieces, however, has remained largely unknown. Now, researchers have discovered one architectural secret behind the ant rafts. The ants, it turns out, cling to one another using all six of their legs—a single ant can have up to 20 of its comrades’ legs grabbing its body. The Georgia Institute of Technology researchers found that 99 percent of ant legs are gripping another ant, meaning “there’s no free loaders” when it comes to hitching a ride on the rafts, they said in a statement. Scientists didn’t discover this trick earlier because it’s exceedingly difficult to look inside those dense balls of insects. To get around this problem, the team first created a number of ant rafts by swirling 110 insects in a beaker full of water. After the rafts formed, the researchers froze them with liquid nitrogen and used super glue to ensure the ants stayed in place. CT scans allowed the researchers to examine how the rafts’ individual components were related. They don’t just stick their pads to the nearest thing they can find; they typically attach to their neighbours legs and feet, rather than their bodies. These connections allow the ants to change the shape of their structures by bending or stretching their legs. That explains why the structures are so elastic, and why they can absorb incoming forces more effectively. The foot-to-foot connections also suggest that the ants actively control the nature of their balls. The team found other such clues. For example, a ball of living ants is less densely packed than a ball of dead ones, implying that they are actively pushing their neighbours away. This presumably helps to create the air pockets that keep the rafts afloat. While constructing the rafts does not involve intelligence, the team told Yong, the nature of those balls does turn out to be much more complex than scientists expected. Read on via When Fire Ants Build Rafts, There Are No Free Loaders | Smart News | Smithsonian. The Mountain Katydid flashes a warning when threatened. Mountain Katydid. Credit: Kate Umbers. Kate Umbers was hiking through Australia’s Snowy Mountains in the autumn of 2008, when she saw her first mountain katydid—a thumb-sized insect with the colour and texture of a dead leaf. Emphasis on bright. 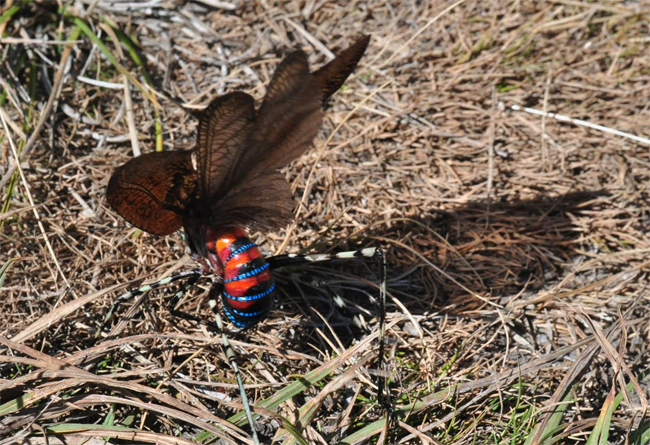 The insect’s dull brown wing casings flew apart to reveal vivid bands of red, black, and electric blue. The inconspicuous leaf suddenly transformed into a garish Christmas bauble. Many animals do something similar. When a threat gets close, they flash bright colours, show off distracting eyespots, strike aggressive poses, and spray off-putting chemicals. “I AM TOXIC; DO NOT EAT ME.” For some animals, these claims are bluffs. For the mountain katydid, they are genuine warnings—this insect is full of foul-tasting chemicals. But Umbers noticed something unusual about its displays: the katydid only flashed its colours after an attack. “I was struck by how easy it was to catch them and how little resistance they put up,” she says. 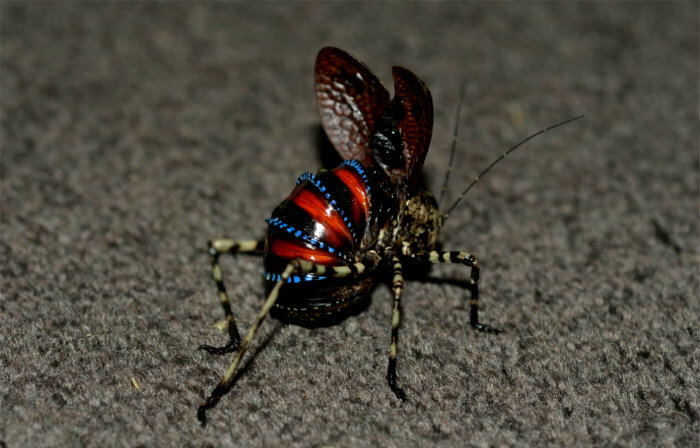 Read the full article via Why Does This Weird Insect Flash Warnings After An Attack? – Phenomena: Not Exactly Rocket Science.